Have you been told you have Syndrome X (Metabolic Syndrome) or are Diabetic, Pre-Diabetic, or Insulin Resistant, and have been given prescriptions for medication or injections? The “Medical Establishment” has it all wrong! Expensive and side-effect-laden prescription drugs and insulin injections are not the best treatments for Type II Diabetes in the long-term. In fact many, if not all, diabetic medications carry the risk of serious side effects…some causing weight gain and ultimately perpetuating the disease long- term. In the end, a drug for every disease or symptom is only masking the problem and not treating the root cause/s. body can be very dangerous to your health! The problem for the majority of Type II Diabetics is that insulin resistance has set in … this basically means that your body has lost the ability to utilize insulin appropriately. It’s likely your body may not be lacking the hormone insulin. What sense then does it make to continue to bombard your body with something it no longer recognizes and can no longer process? Especially when that substance (insulin) may be harmful to your health and more than likely will cause your disease to progress or worsen. Diabetes is a nasty disease that ruins the lives of millions of people. You can lose a leg … you can lose an arm … you can lose your “zeal” for life … and in serious cases you can even lose your life. diabetes naturally are currently doing. 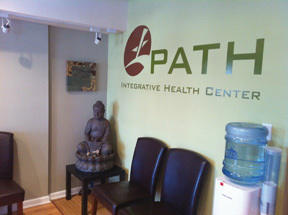 At Path Integrative Health Center, there is a difference. You see, where most physicians test for blood sugar levels and A1C levels and not much else, Dr. Heather Rooks, DC has designed an integrative testing approach that goes into much more depth. Using detailed findings, she individually tailors and customizes a treatment plan for each patient based on his or her own underlying CAUSITIVE factors. THERE IS A BETTER WAY ! As senior clinic director, Dr. Rooks is skilled and experienced at treating the root physiological, biochemical, and hormonal imbalances associated with Type 2 Diabetes and with Hypothyroidism. Dr. Rooks uses breakthrough diagnostic testing and analysis that’s rarely done in conventional settings, to uncover the hidden, underlying causes a person may be experiencing from Type 2 Diabetes and Hypothyroidism. She also takes great pride in delivering personalized healthcare treatment to patients as well as providing an environment that supports and inspires patients to reverse their poor health. Dr. Rooks graduated from the University of Delaware, with a BA in Biology and has a Minor in Women’s Studies. She attended Life University for her Doctor of Chiropractic degree, and has extensive Postgraduate education in Functional Endocrinology. Outside the office, Dr. Rooks enjoys being with her Cream French bulldog, Romeo, traveling and consciousness raising activities, spiritual retreats and humanitarian mission trips. She also loves Yoga and any kind of fitness.